Andrew the Pekinese is a pampered pooch in Palm Springs, the United States. He spends his time lounging by the pool, having his fur shampooed and riding in the basket of Colin’s bike. It’s paradise, with the exception of a dangerous cactus garden and an annoying cat. But Andrew’s almost perfect life is about to change – they’re leaving Palm Springs and crossing thousands of kilometres of ocean to live in New Zealand. What’s more, Andrew has to fly on his own and endure being separated from his poppa in quarantine. When he finally arrives at his new home in Wellington, there’s not quite the welcome he was hoping for. Praise for Toughen Up, Andrew! Anne Manchester lives beside the sea in Eastbourne. 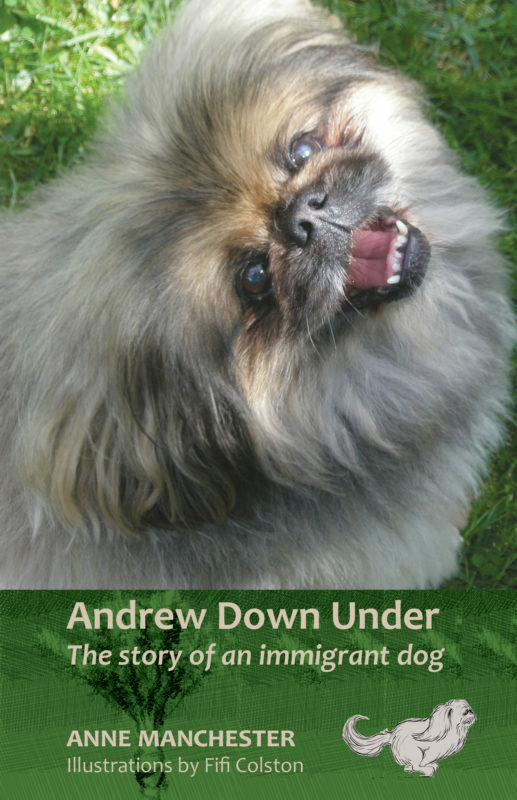 Andrew Down Under is her second book about the charis­matic Pekinese dog, who arrived in New Zealand from Palm Springs with his poppa – Anne’s uncle Colin. The first book of Andrew’s adventures is called Toughen Up, Andrew! Also in the stories are her sons, James and David, and her mother, Nell. Anne works as a magazine editor. 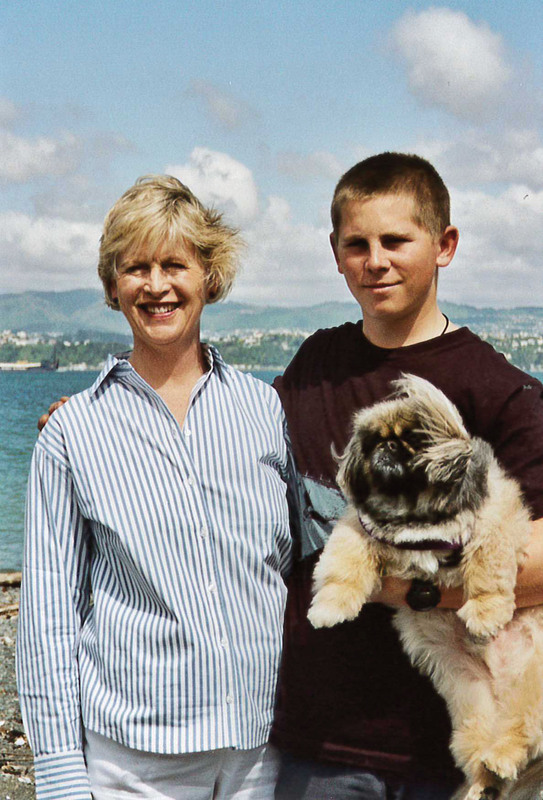 She likes acting, tramping Wellington’s hills, cycling with her husband, Sandy, and being a grand­mother.